As an undergraduate student, Andrew Zureick saw many of his peers struggle with introductory chemistry and physics courses. The workload, large class sizes and lower median grades were driving some of his classmates off the science track. His observations were reinforced by an oft-cited 2011 article in The New York Times — “Why Science Majors Change their Minds (It’s Just So Darn Hard)” — that examined why more than half of undergraduates studying science, engineering or pre-medical tracks end up changing majors or failing to graduate. He remembers discussing the topic with his colleagues on staff at the Dartmouth Undergraduate Journal of Science. That book, What Every Science Student Should Know, was published in May 2016 by the University of Chicago Press. Directed at students interested in science, technology, engineering and mathematics, or STEM, the book offers information and encouragement on topics such as choosing a major, study skills, conducting scientific research and finding employment with a science degree. The content of the book was informed by Zureick and his co-authors’ own experiences, as well as by other STEM graduates and successful scientists. They interviewed people with diverse backgrounds and achievements, as well as some who decided to use their science degrees to forge unique career paths. Zureick says an important recommendation from the book is for students to seek mentorship early on because faculty mentors understand the common pitfalls and challenges that students face. “It’s very helpful to seek out both a research mentor as well as an academic mentor who can help you design your overall curricular trajectory,” Zureick says. 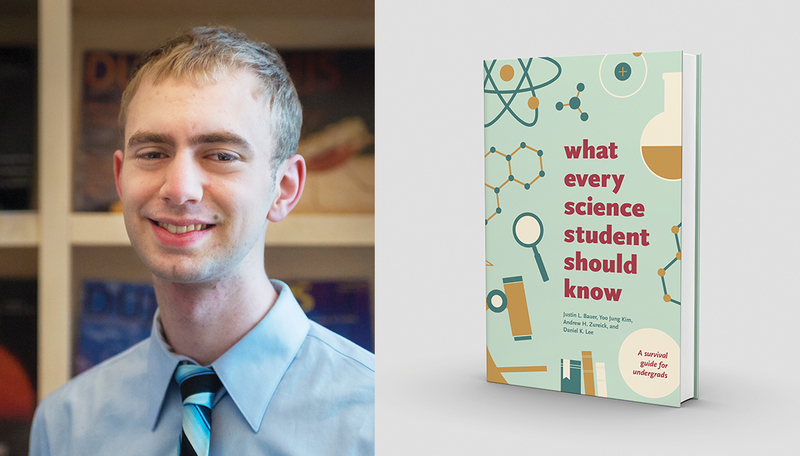 What Every Science Student Should Know is available through major bookstores and online retailers, and has been featured at several pre-med career fairs. Zureick’s co-authors, who include Dartmouth College graduates Justin Bauer, Yoo Jung Kim and Daniel Lee, have also led talks about the book in high school classrooms and academic outreach events. Zureick hopes students understand that challenges should not discourage them from pursuing careers in STEM fields. “The job market is in need of individuals in the science, tech and engineering sectors. Entering the sciences is challenging but extremely rewarding, and that’s the message we were really trying to relay through this book,” he says. For more information on What Every Science Student Should Know, visit everysciencestudent.wordpress.com.